Cancer informatics technology vendor Inspirata acquires Caradigm from GE Healthcare. Imprivata bought Caradigm’s identity management business in October 2017. Microsoft, originally a 50-50 Caradigm joint venture investor with GE Healthcare to which it contributed its Amalga data platform, sold its share to GE Healthcare in April 2016. From Witty Lad: "Re: Techsoft’s MDRhythm. We are considering their EHR for a volunteer-run clinic. I can’t tell if they’re still in business, but I want to give them the benefit of the doubt with[out] embarrassing them if they indeed are. Wondering if you know anyone who is a current or former client?" Not off the top of my head, so I’ll invite readers to weigh in. I discovered they are indeed still in business after a quick phone call to the company (answered promptly by the helpful Maria once I navigated through the automated phone tree), though their website is woefully out of date. From Pampered Poodle: “Significant layoffs at Ascension Information Systems today. Ascension has been in financial strife and is in the process of a major reorganization of IT services.” I assume PP means Ascension Information Services, the IT shop out of the similarly named St. Louis-based health system. Unverified, though in line with a reader’s comment shared in April. June 21 (Thursday) noon ET. “Operationalizing Data Science Models in Healthcare.” Sponsor: CitiusTech. Presenters: Yugal Sharma, PhD, VP of data science, CitiusTech; Vinil Menon, VP of enterprise applications proficiency, CitiusTech. As healthcare organizations are becoming more adept at developing models, building the skills required to manage, validate, and deploy these models efficiently remains a challenging task. We define operationalization as the process of managing, validating, and deploying models within an organization. Several industry best practices, along with frameworks and technology solutions, exist to address this challenge. An understanding of this space and current state of the art is crucial to ensure efficient use and consumption of these models for relevant stakeholders in the organization. This webinar will give an introduction and overview of these key areas, along with examples and case studies to demonstrate the value of various best practices in the healthcare industry. Cardinal Health sells a majority stake in post-acute care services and analytics company NaviHealth to private investment firm Clayton, Dubilier & Rice for an undisclosed amount. Cardinal acquired the private equity-backed company in 2015 for $290 million. Strategic Management Consultants acquires Digital Reasoning’s anesthesiology-focused Shareable Forms (fka Shareable Ink) clinical documentation technology. Hackensack Meridian Health (NJ) dips into its $25 million innovation investment fund to finance Pillo Health’s digital home health companion. Hackensack and Pillo will work to launch a medication management pilot using the device with an eye towards eventual commercialization. Nick Martin (Optum International) joins DuPage Medical Group (IL) as CTO. The American Medical Association names psychiatrist Patrice Harris, MD president-elect at its annual meeting. She will succeed newly sworn-in New Mexico Oncology Hematology Consultants CEO Barbara McAneny, MD. Cantata Health hires Wesley Brown (SQLWatchmen) as VP of development. Outcome Health picks up the pieces with the appointment of Matt McNally (Publicis Health) as CEO. The waiting room media company has spent the last several months settling lawsuits stemming from allegations that it misled advertisers and investors, shuffling CEO Rishi Shah and President Shradha Agarwal to less visible positions, and watching its $5.5 billion valuation take a beating in the press. Publicis Health was an Outcome Health advertiser, having pulled out pending the results of a third-party verification of Outcome Health’s audience – the results of which haven’t yet been released. The HealtheConnect Alaska HIE will implement NextGate’s Enterprise Master Patient Index. Nantucket Cottage Hospital (MA) selects bedside patient engagement software from Aceso. Tallahassee Memorial HealthCare (FL) chooses Voalte’s clinical communication and alert notification system. The New Jersey Hospital Association and its Health Research and Educational Trust will offer Collective Medical’s opioid tracking tool to EDs across the state. SoutheastHealth (MO) develops a virtual ICU program with technology from Avera ECare. Cohealo develops cloud-based software that uses EHR data to help hospitals better manage and utilize medical equipment. The Cardiovascular Research Consortium will leverage TriNetX’s data aggregation capabilities and analytics to give its biopharma partners access to clinical data. I can’t decide whether this article is a disturbing look at the sleazy means some plastic surgeons will use to puff up their already inflated egos, hopefully gaining new patients in the process, or an accurate portrayal of the way surgeons and their savvy marketing teams use social media to get the word out about their services. 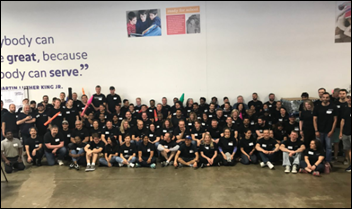 The PatientKeeper team volunteers at The Giving Factory and donates over $5,000 to its Cradles to Crayons program. Adventist Health System (FL) expands its use of Stanson Health’s clinical decision support software across its 46 hospital campuses. Navicure/Waystar will exhibit at Florida MGMA June 20-22 in Orlando. Nordic will exhibit at the Healthcare Industry User Group meeting June 17-20 in Phoenix. Recondo Technology signs a large IDN, several major universities and an affiliated large physician group, helping it close $5 million in new contracts so far this year. Experian Health achieves HITRUST CSF Certification and EHNAC Healthcare Network Accreditation. 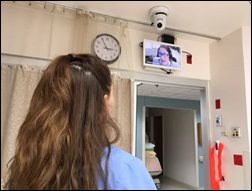 To improve care coordination, the Wisconsin Statewide Health Information Network will offer participating providers and payers access to PatientPing’s real-time patient notifications. Pivot Point Consulting hires Jenn Bula, RN (MedSys) as director, advisory services. EClinicalWorks will exhibit at the North Carolina Primary Care Conference June 14-16 in Charlotte, NC. HBI Solutions will exhibit at the Minnesota Dept. of Health E-Health Summit June 14 in Brooklyn Center. Healthfinch will present at the AMDIS Physician Computer Connection Symposium June 18-22 in Ojai, CA. Ciox Health Chief Digital Officer Florian Quarre joins the Forbes Technology Council. Image Stream Medical parent company Olympus partners with accelerator MedTech Innovator. InterSystems will exhibit at HL7 FHIR DevDays 2018 June 19-21 in Boston. Intelligent Medical Objects will exhibit at the AMDIS Physician Computer Connection Symposium June 18-22 in Ojai, CA. Kyruus will exhibit at the Cleveland Clinic Patient Experience Summit June 18-20 in Cleveland. Patientco adds AccessOne financing products to its SmartFinance patient financing feature. KLAS recognizes TransUnion Healthcare’s EScan Insurance Discovery solution with an an overall score of 89.4 out of 100 for Coverage Discovery in its latest software and services report. HBI Solutions announces that two customers have implemented its predictive suicide risk model.